Get started using Pyxis Invoicing in minutes. Easily keep track of sales, create invoices, credit notes, delivery notes and receipts. A default stationery set is created in seconds. So you can begin sending out ‘bills’ almost instantly. Your documents can be emailed directly from the application. And all invoices, statements, etc, are produced as PDFs, so they can be viewed by almost everyone. Pyxis Invoicing is a low cost, but powerful application, that will enable you to quickly and easily keep track of sales. And since version 3.5 you can keep track of purchases too. Refer to the Features page for more information. 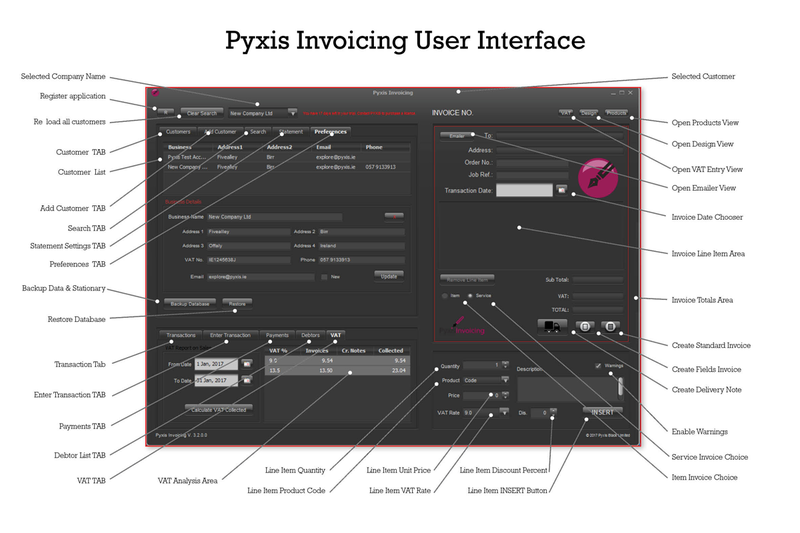 Follow this link to check-out the many features of Pyxis Invoicing.